Cheri Costa assists her clients with their everyday legal needs, including filing for bankruptcy, divorce, buying or selling a home, preparing wills and trusts, and handling the probate process for their loved one. She focuses on compassion and understanding when working with her clients. She is well-known for her dedication to her work and attention to detail, allowing her to represent them in an effective manner. 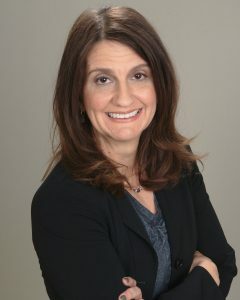 Cheri has years of experience in assisting and advising business clients in the matters of: organizing and maintaining their business entity, reviewing,and negotiating contracts, representing employers with employee issues, and other legal complications that arise in a small or medium-sized business. She believes it is important to maintain frequent and consistent communication with each of her clients. Not only does she answer phone calls and e-mails promptly, but she understands that many questions arise throughout the legal process, ensuring to answer all of them in full detail. For more information about Cheri Costa, please call Berry K. Tucker & Associates, Ltd. at 708-425-9530 in Oak Lawn, IL or e-mail her at cheri@bktuckerlaw.com. She looks forward to meeting you!